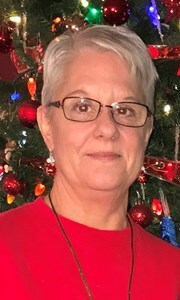 Linda K. Lincoln, 69, of Tecumseh, passed away on Wednesday, February 6, 2019 at Midland Hospice House in Topeka. She was born December 31, 1949 in Topeka, the daughter of Edward F. and Bernice I. (Schultz) Johnson, Jr.
Linda graduated from Topeka High School in 1967. She was a homemaker. Linda married Larry Lincoln on May 22, 1971. He survives. Other survivors include their children; Larry (Brenna) Lincoln, Lance (Kelley) Lincoln, five grandchildren; Taylor, Tyler, Cale, Cooper and Campbell and her siblings; Tom (Cheryl) Johnson and Denise (Dan) Appelhanz. Linda was preceded in death by one brother, Steve Johnson. Cremation has taken place and as per Linda’s wishes, no memorial services are planned. The family will receive friends from 6:00 - 8:00 p.m. Wednesday, February 13, 2019 at Dove Southeast Chapel, 2843 SE Minnesota Ave. Private inurnment will take place at a later date. In lieu of flowers, memorial contributions may be given to the KSU Cancer Center, 1 Chalmers Hall, Manhattan, Kansas 66506. Add your memories to the guest book of Linda Lincoln. I am extremely sorry to hear of Linda's passing. I know she will be missed by all. I do have wonderful memories of Linda and me. Because we were so close in age and our parents spent a lot of time playing cards on the weekends, we spent the night at each other's house frequently. We had great times, mainly bugging Tom and being kicked out of his room. We really wanted to play with his electric train, but because we were 'just' girls, it didn't happen often, so it was back to paper dolls! We just had fun together, whether it was a family picnic at Gage Park or a family Christmas dinner at the kid's table at Grandma Johnson's house! As we grew up we went in separate directions, but the love and friendship was always there when we did get together. She will be missed! But never forgotten! Ruth and I are sorry for your loss. We remember the great times playing baseball at Billard. Want to extend our sympathy to the family. My daughter, Madonna, was in Lance's class. Always enjoyed working with Linda on school parties and activities. Remembering your family in our thoughts and prayers.